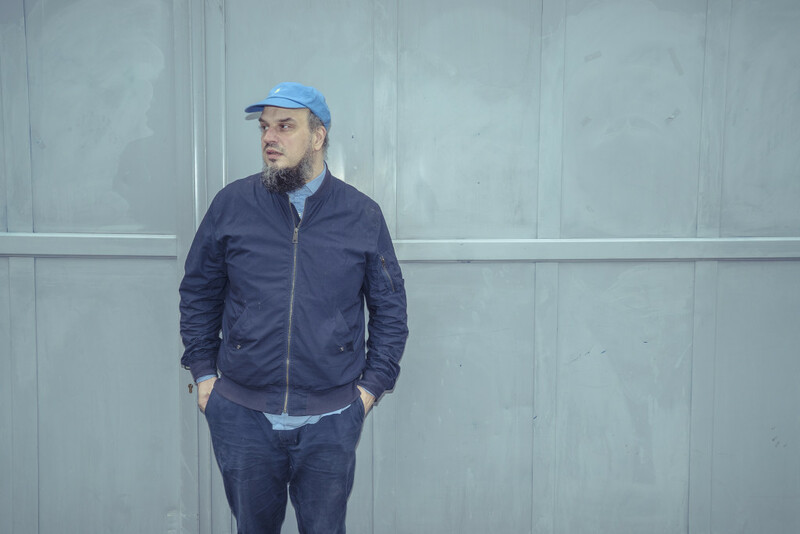 For nearly two decades now, Belgium’s Laurent Baudoux has been a pivotal figure in his country’s underground electronic music scene; he has been active as a member of groups such as Electrosold Collectif (alongside Mouse on Mars’ Jan St Werner) and working solo under a wide range of pseudonyms such as Sun OK Papi K.O. and Baleine 3000. His latest project is Lawrence Le Doux. He is one of the SHAPE artists playing at the upcoming MUTEK Festival in Montreal. Are you based in Brussels? I live in Molenbeek. That’s the area everyone has been talking about following the terrorist attacks in Brussels. It’s OK, but the city is still on edge. For example, I recently played in a club and there was a police raid during the party. Brussels is a really good place for making music though. There are a lot of influences from everywhere – France, the UK, Germany. You also had quite an interesting and varied development with all of your projects. I started in the late ’90s with my brother under the name Scratch Pet Land on the Sonig label where Mouse On Mars also released a lot of their records. We released several records on that imprint and then we split up. I started to make music alone, which was difficult because my brother was the technician in our band. I liked to play the keyboards but he was the one with the computer so I had to learn everything again. I then started a new project with the VLEK label, called Lawrence Le Doux. You also had the Sun OK Papi K.O. project, which was fairly eccentric compared to your other work. I started this project around 2004. I was searching for something new. I also met a Japanese guy called Jun Kamoda around this time and together with DJ Afrojaws from France we started a project called Baleine 3000. I almost forgot about it but the people at VLEK found old Baleine demos and told me that they are going to release them quite soon. Sonically, the music sounded quite adventurous and exotic even, mixing kuduro, baile funk, techno and exotica. It was a strange time for music then, unless you made house or techno. Now we have access to everything – all genres from all periods. At the time I was making Sun OK Papi K.O. everyone was searching for something futuristic and new. Now you can mix the old with the new and it’s ok. This is why I really like making music today — because you are free to experiment. Maybe it’s also because of cassette and blog cultures that a lot of the stranger stuff can get heard these days. Everybody is really curious and digs into strange stuff. Then you also did the Electrosold Collectif. It was a radio show on one of the few alternative radios in Brussels, called Radio Panik. We tried to invite a lot of guests, like Otomo Yoshihide, to improvise live on radio. At one point we did a record and then we stopped. I still have a show called BAS – Brussels Alternative Show – there, and another show on a different local station called Bruzz. What kind of stuff do you play there? With Lawrence Le Doux you have streamlined your sound. I went to a nice club in Brussels five years ago and it really influenced me. I was there and realised that’s what I want to do, those are the people I want to play for. I wanted to become part of that scene. But with all your experience you probably approach 4/4 music from a different perspective than somebody who starts making techno or house from the scratch. I never think about what I’ve done in the past. I just try to keep moving forward. Do you work in phases, starting a project and eventually knowing it’s time to move on? With Lawrence Le Doux I feel comfortable, also in terms of production. I don’t ask myself too many questions. I think I’m going to keep this one for a longer time. I’m not a musician as in I never studied music. So I’m just sitting in my chair and doing it, it’s really fast. So in that way, Sun OK Papi K.O. might come back one day during such a session? Yes, maybe. I also did music for a movie. None of these projects are closed, they are all still running. Do all these personalities reflect something? Is it something more personal? I’m really happy to work with a label because they are really great with organising tracks and shows. I can be really chaotic with what I’m doing so it’s nice that they can say what they take. With Sun OK Papi K.O., it’s like a reflection of my brain. I need somebody to say they are going to organise everything. But don’t you have your own label? I tried in 2001-2002, but stopped. At that time it was really difficult with vinyl because nobody cared about it. You recently did a soundtrack for a film about philosopher Donna Haraway. Can you talk about this experience? Were you inspired by her work when you were creating it? If yes, then how? I didn’t know her before Fabrizio Terranova, the film maker, told me about her. It is the second time that I made music for him (the first soundtrack was for ‘An Insane Portrait’). For this one he told me about this amazing person, Donna Haraway, but I asked to see nothing of the movie while it was being made. There is some kind of restriction about the process of making a soundtrack that I really like. The movie is actually about talking, not about music, so I try to be as discreet as possible. You give them a pack with let’s say 20 tracks, and they choose, often only certain parts of tracks. You are playing at MUTEK festival in Montreal soon as part of their SHAPE showcase. What can the audience expect? There will be two of us on stage: Ann and I. Ann will play the guitar and bass. I’m so excited to play there alongside Project Pablo and Local Artist, these guys rule.